24x30 finished out shop with oversized 2 car garage door, with heat/AC and electric! Entire backyard fenced with 8 foot fence on the east side, and 6 foot fence on the rest of the property. Beautiful wood fence is capped on the top and the bottom. 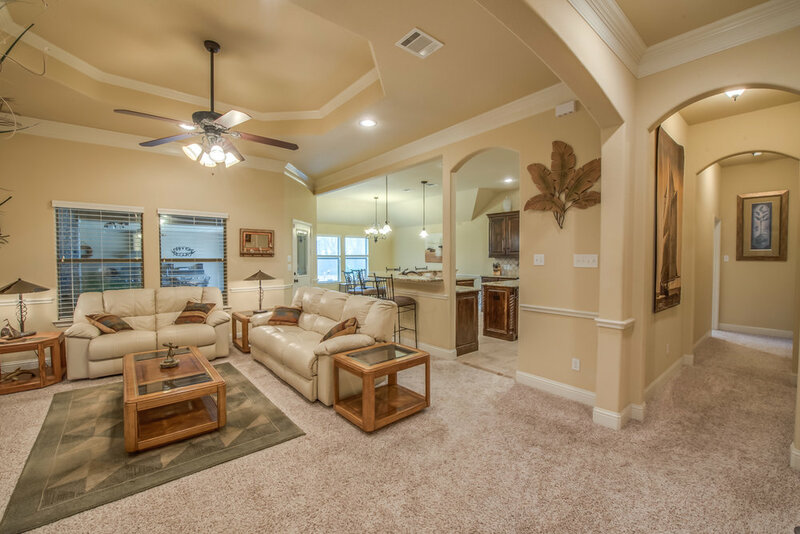 This home has SO much to offer for the entire family! 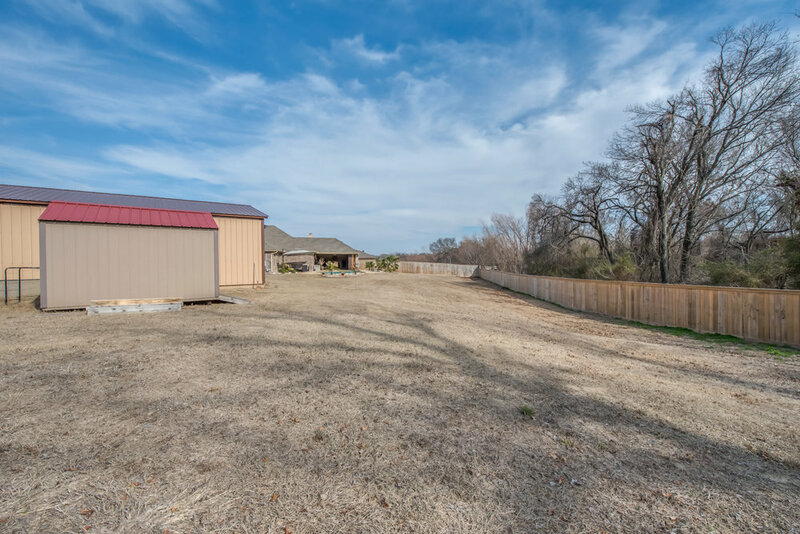 Located right outside Springtown, out of city limits which will keep your taxes low, you have a very large acre lot that is completely fenced for privacy. When I initially walked into this home I was struck with the amount of work that these sellers have put into this home! 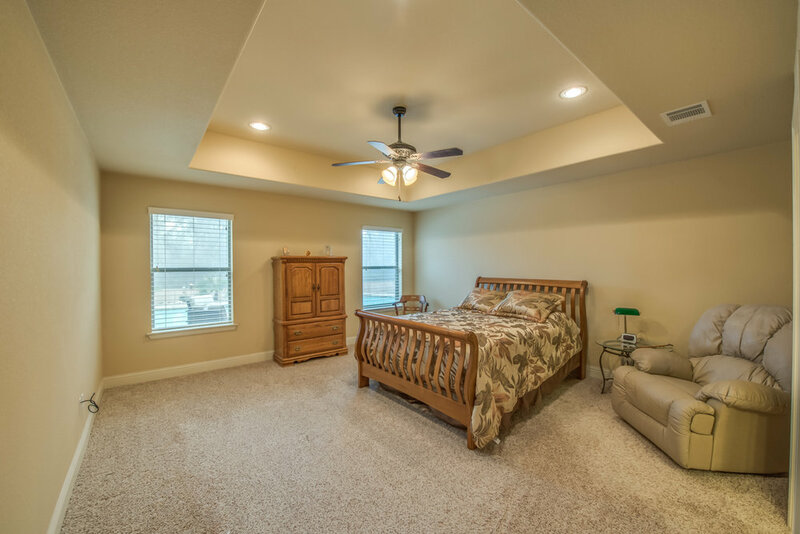 They have already added so much to this property that you can move right in and start enjoying this home and all of the added features right away. 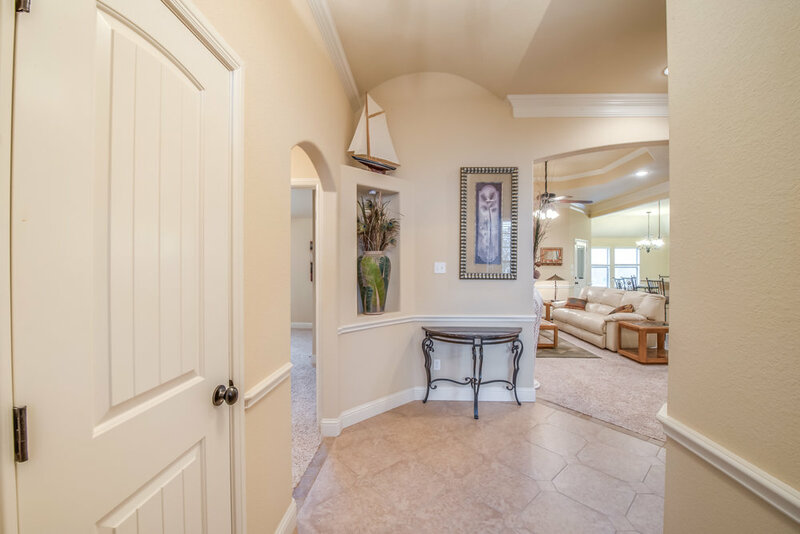 When you walk in, you'll see an office space with a large closet to your right (can easily be a 4th bedroom), and two bedrooms and a full bathroom (with granite, and mud and tile) to the left. 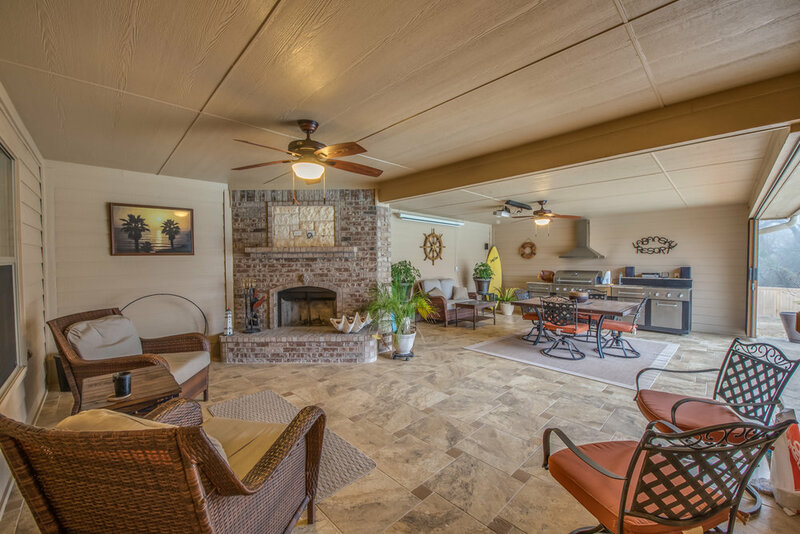 The living area opens to the kitchen and dining room and the outdoor living space, and the master suite is further back off to the right. 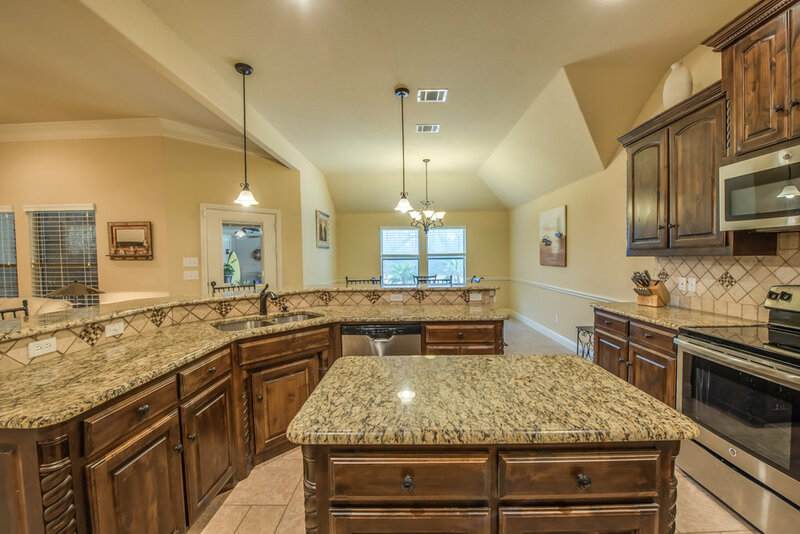 The granite kitchen has a large bar and more storage and cabinets than you'll be able to fill! 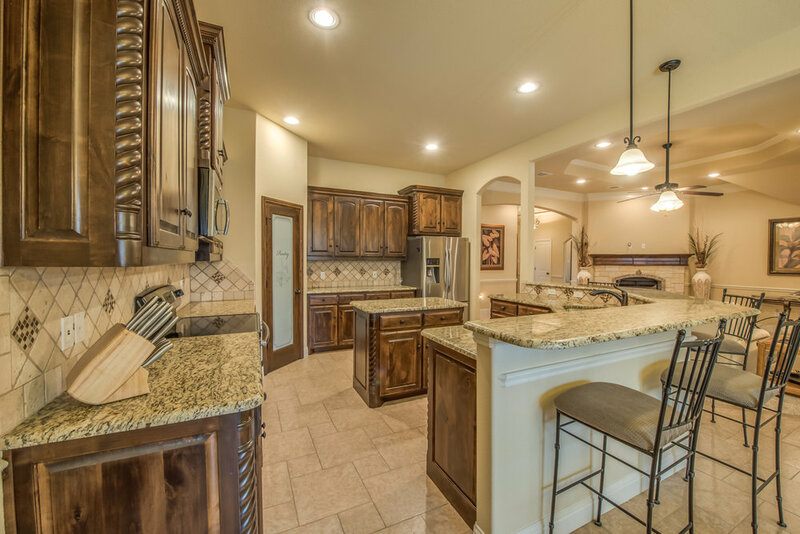 Tumbled marble and accents compliment the dark walnut stain in this kitchen. I also love the tile in this home. Very tastefully done and the owners carried it through onto the outdoor living area as well. 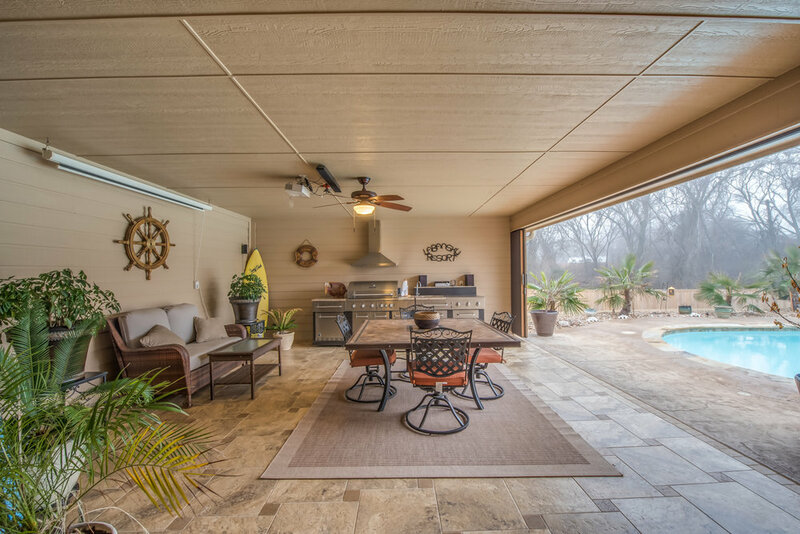 The large accordion door on the back patio can be shut on windy days so that you can still enjoy your outdoor living space year round! 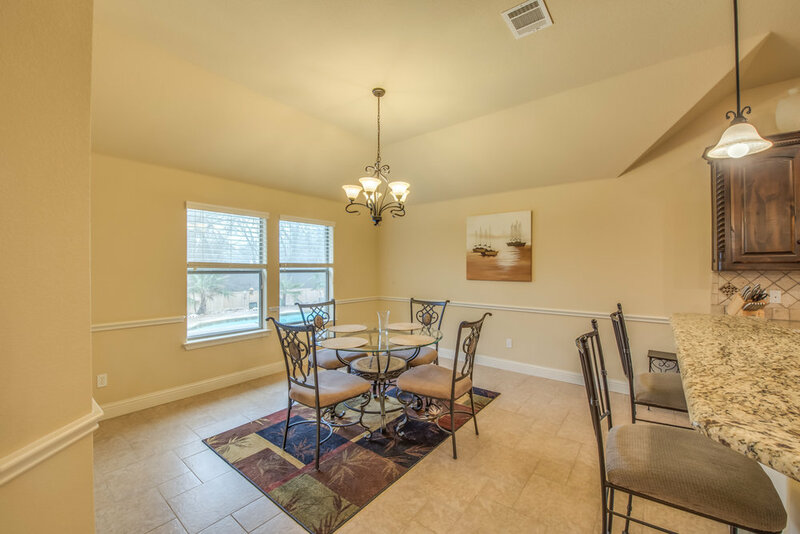 The dining and master bedroom all have views of the lush backyard living that can't be beat! This property is bordered by a creek and has massive trees beyond the fence, adding to the privacy and beauty of this fantastic home! The shop has been completely finished out with drywall/texture/paint, and has electricity and heat and AC and can easily be used as office space, extended living or that man cave or shop that you've always wanted! The owners put in a HUGE double door on their gate to allow large trailers access to the parking by the shop, or storage for your boat or RV. I would love to show you this home! 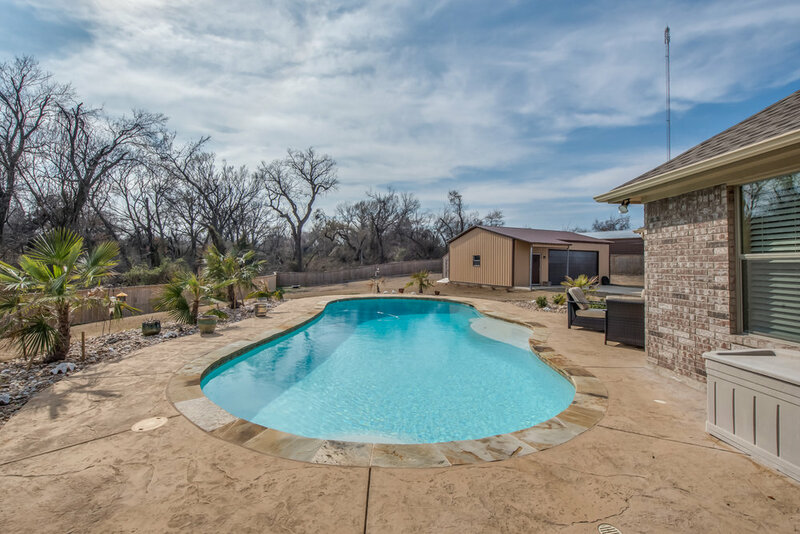 Please call or text me at 817-771-1360 for a private showing!